Don't Relay Race... Team Race! MUTT Style! 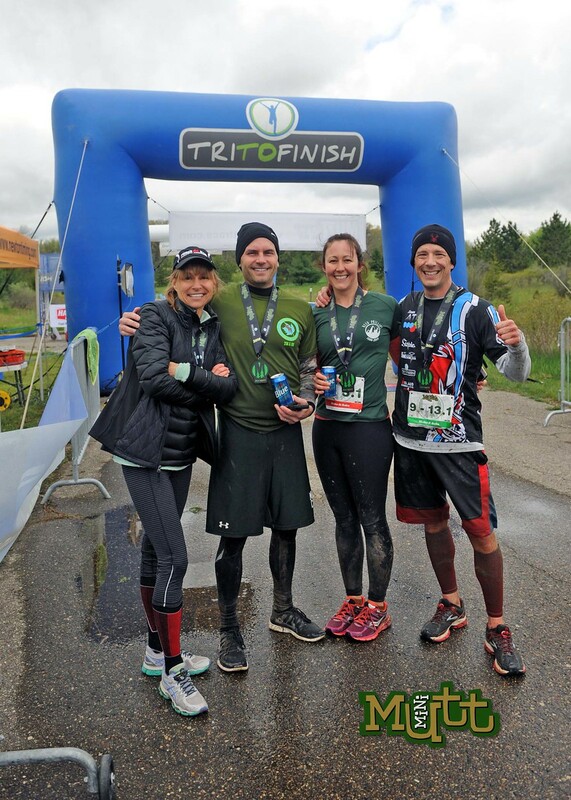 Welcome to MUTT team trail racing! The Mini MUTT team trail race is the shortest of the 2 race MUTT series races scheduled for 2017. MUTT team trail races are NOT relay races but rather team trail races that require 4 team members to start and stay together at the beginning of the race, and one by one turn around at the halfway point of each individual distance. The format allows for different distance runners to race together, and also assures each runner contributes to the success of the team. Pace strategy is critical in assuring the best team time. Each team will consist on a 3.1, 6.2, 10, and 13.1 mile runner. At the start of the race, each team will start out running together and MUST stay together until they reach the 1.55 mile mark, then the 3.1 mile runner will turn around and return to the start/finish line completing the 3.1 mile run, while the remaining three runners continue on. At the 3.1 mile mark, the 6.2 mile runner will turn around and head back to the start/finish line, with the remaining two continuing on. At mile 5, the 10 mile runner will return and so on. Once all 4 runners return to the finish line completing their individual distances, all four times are tabulated for the total team time. Individual awards are given as well. The Mini MUTT takes place this year on trails at the Addison Oak County Trail System in Leonard, Michigan. The race will start and end near Lakeview Pavilion with runners competing on a mixture of single track and wide track trails. Event-specific t-shirts are guaranteed ONLY to those who register online before Noon on Monday, May 29th! These shirts will be available in unisex or ladies cut sizes. All participants who register after that date/time will be provided with a TriToFinish t-shirt if event-specific shirts are unavailable on site. We completely understand that plans change and athletes will sometimes be unable to compete in an event they've signed up for. Unfortunately, refunds will not be provided for any event unless the event is cancelled for reasons within the event Organizer’s control. Should an athlete have an injury or other medical issue keeping them from competing in the Mini MUTT, then we would be happy to transfer your registration to a replacement athlete. This can be done right up to race day! Teams should refer to their team start time when arriving at event. The clock will start at your specified time regardless of whether that team starts on time or not. This will assure the waterfall schedule is met.